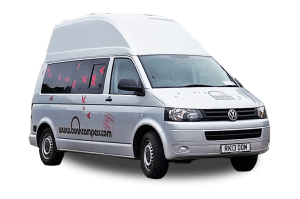 If you have decided on campervan hire London, campervan hire Scotland or campervan hire Ireland from Bunk Campers, it is important you understand how to best take care of your camper in order to ensure you have the best campervan holiday. 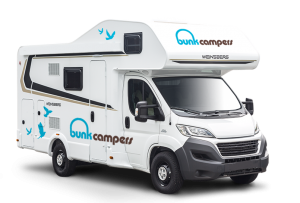 Here is Bunk Campers campervan advice, all you need to know from parking up to plugging in, campervan cleaning tips and campervan maintenance. 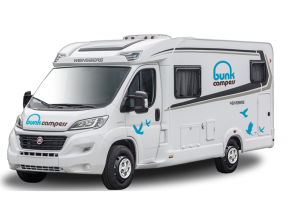 Whilst on your campervan hire Ireland, campervan hire Scotland or campervan hire UK holiday, Bunk Campers recommends visiting locations with electric hook-up regularly during your rental. 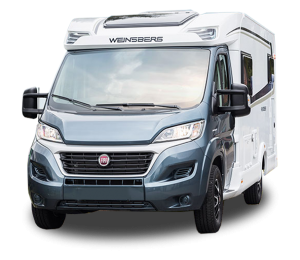 Plugging your campervan into facilities every few days is important in order to replenish your battery power. This powers your light, heating, toilet flush and hot water. 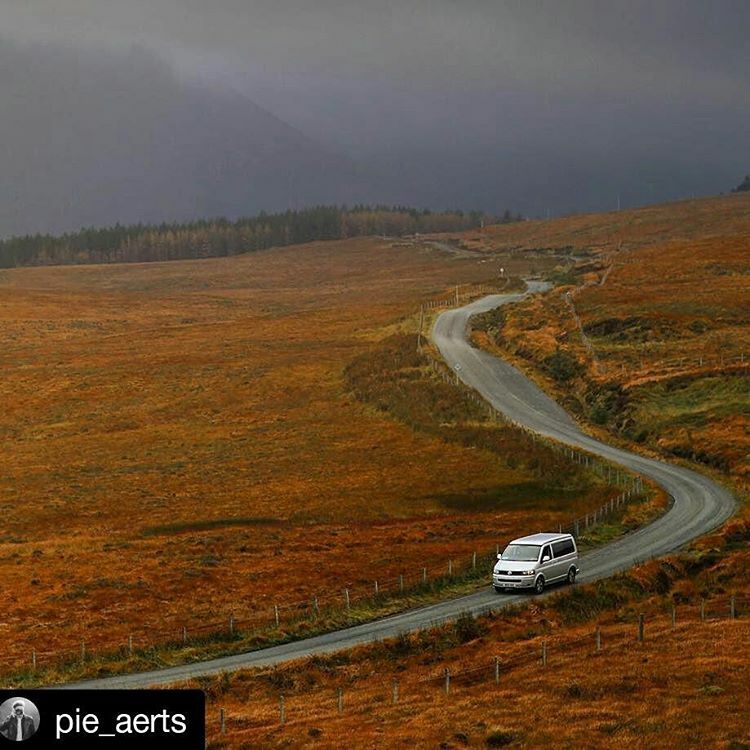 During the winter months in Ireland and the UK, this is particularly important and we recommend plugging in every night to ensure you have sufficient battery power to heat your campervan! Parking up at a campsite is an ideal time to get rid of your rubbish. Never leave your rubbish lying around when you leave a site. Bunk Campers supports the leave no trace concept. Put your rubbish in the bins provided, recycle where possible and leave the area as you found it. 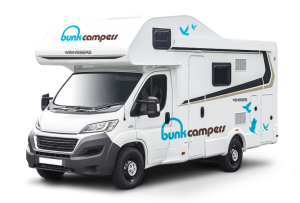 You are welcome to leave any unopened tinned or dried food, canned drinks, condiments (tea, coffee, sugar), cleaning materials and chemicals at the Bunk Campers depot for future customers. 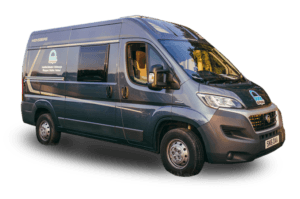 Avoid unpleasant smells in your van! To keep your van fresh, we recommend that you dispose of your waste at least every 3-4 days. This must be done at proper toilet waste disposal facilities which are available at most campsites. No one likes a cold shower! 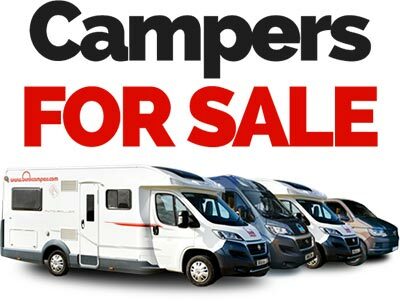 Your camper requires sufficient clean, fresh, water to heat your boiler for washing, cleaning and showering. 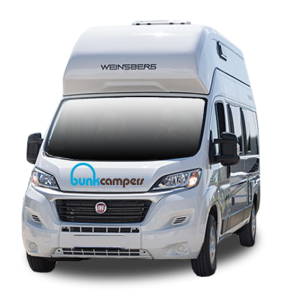 Bunk Campers recommends you fill up at each available opportunity. Water can be replenished at campsites or most fuel stations. 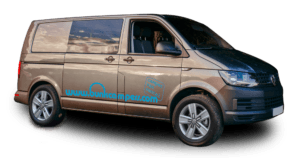 To maintain an enjoyable campervan environment we recommend emptying your grey water tank regularly. By emptying your tank on a regular basis you can avoid carrying unnecessary weight which can increase your fuel costs. Gas required for cooking, operating your fridge and in some vehicles, your heating and hot water. 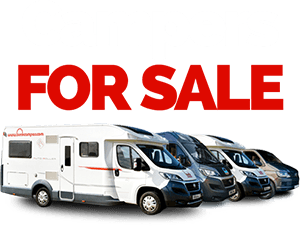 For safety reasons, gas must be turned off at all times when driving your campervan. 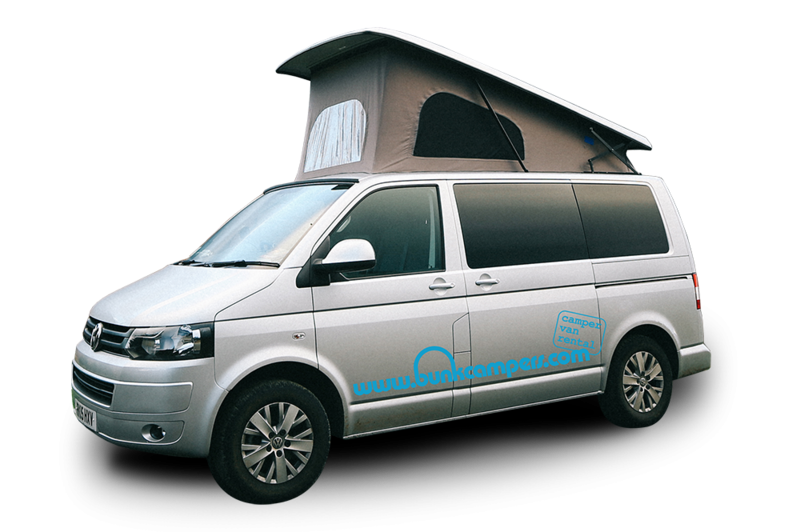 Throughout Ireland and the UK, service areas are available for quick and convenient campervan management. For a small fee, you can purchase 1kw of electricity or 100 litres of water plus toilet/waste water disposal and overnight parking is permitted at some service areas.